Have you ever used the internet to comment on what you see online, share information about yourself or others, communicate with friends, play games, get material for an assignment or buy stuff online? If you answered YES to any of these then you are a digital citizen. There is a wealth of information and resources – international, parent focussed and other useful sites – available to us as educators in the area of Digital Citizenship. 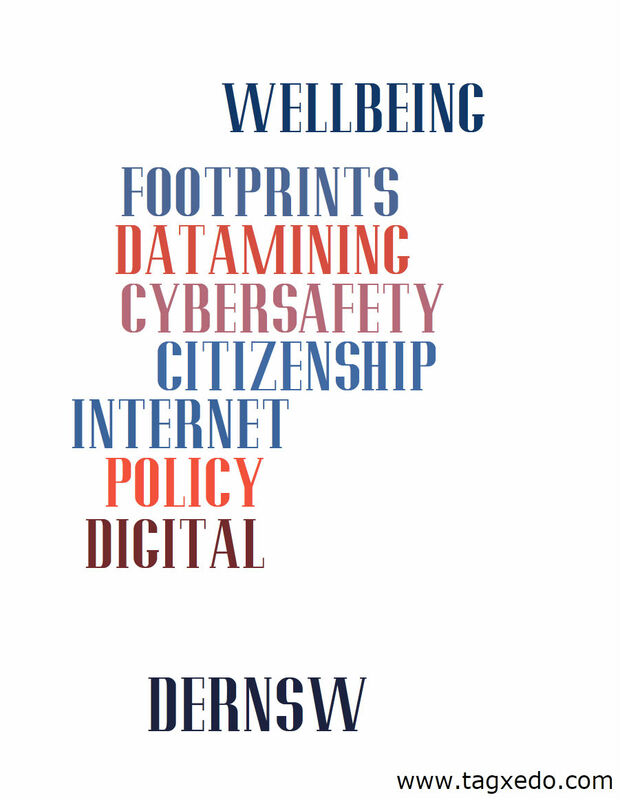 The Digital Citizenship website, which has been produced by CLI for the DER-NSW program brings together a comprehensive range of lessons, educational games, videos, as well as links to other useful sites, advice and assistance with teacher professional learning. Its focus is educating young people to be positive contributors in an online world, with an intended Year 10 audience. Parents and carers can also learn how they can support the positive use of social media by their children at home. The best way to find out more about this program is to explore the website. A further set of websites have been tagged for those who may be interested in preparing a more focussed program within their school. What courses, learning and policies are in place at your school to assist students and staff manage their digital footprints? Do they have students ‘practising’ good digital citizenship? What can you share here? **Damian is a Learning Design Officer with the NSW Curriculum and Learning Innovation Centre. Damian has been a Mathematics educator for over 13 years and has a keen interest in improving teacher practice and the role of technology in enhancing teaching and learning. On Friday 25th March 2011 the NSW Secondary Deputy Principals Association is holding its second Professional Learning Day. This follows on from the first well-received PL day this year which had a focus on the digital revolution. The theme of the day in 2011 will be “What a change in education! What a chance for deputy principals!”. In response to our evaluations, there will be a suite of workshops so that there will be more interactive content and we’ll reduce the number of keynote speakers. The venue will be Citigate Sydney Central Hotel, which is close to Central Station and convenient for DPs coming in from country areas. We’re in the process of designing the program and booking presenters and so it would be greatly appreciated if DPs could let me know of specific areas of interest they’d like covered. At present, suggestions have been more on ICT developments and progress with ACARA and news about the national curriculum. We also like to provide practical, operational support for the DPs and school finances, O H & S developments and changes to staffing procedures are popular choices. Linking the digital revolution is schools to real change of quality teaching delivery in the classroom is also high on the agenda. Effective use of data to inform school improvement is another big area and one that DPs are often expected to manage. Anyway, if there are any other suggestions for workshops and presenters, I would love to hear about them – sooner rather than later – as we must begin to form the basis of the program in the next few weeks and begin to book our presenters. On a final note, a number of DPs mentioned how much they valued the time to reflect and discuss issues with their colleagues and so we’ll endeavour to provide for this on the day too. If you are interested in working with a small band of DPs who will organise this Professional Day – it’s great professional development and experience – please let me know via email. *Margaret is Deputy Principal At Georges River College Penshurst Girls Campus with special resonsibility for managing the professional learning delivery at the school. She is one of two Vice-Presidents of the NSW SDPA, again with responsibility for the Association’s professional learning delivery. With Miriam Wride, she won a scholarship from the Association in 2009 to write a paper on professional learning and school improvement and prior to that I represented DET at an international conference in Utrecht where Margaret presented a paper on using case studies to gain insight into what students understand about teacher professional learning. Margaret has also assisted with projects managed by DET Leadership and Professional Learning units. If you missed watching Sugata Mitra‘s famous TED talk, about his “Hole in the Wall” experiments showing children motivated by their own curiosity teaching themselves and each other, you can see it here. I do not usually write specifically about the school where I work, at our blog, but thought this may be of interest to DPs keen to improve student and staff skills, with Adobe and Microsoft tools, in a very concrete way. Dapto High School is now an officially Authorised Certiport Centre, offering students and our wider community the opportunity to further develop skills using Adobe and Microsoft software. Click on the above links to find out more about each. Staff and students are able to run software in ‘tutorial mode’ for selected Microsoft products and Adobe Flash, Photoshop and Dreamweaver. This provides candidates with feedback about areas for development. When the students feels they are ready to ‘sit the test’ they have approximately 50 minutes to attempt to gain the official certification. Students and staff have a good opportunity to develop skills using this system to gain further qualifications. Maybe your school should consider it? If you are looking for some inspiration and resources for cybersafety, from Year 7 -12, I highly recommend Jenny Luca‘s presentations here. Jenny is the Head of Information Services at Toorak College, Mt.Eliza. She is @jennyluca on twitter, which she uses regularly to share and network with colleagues, nationally and internationally. I admire her work and ethos greatly! The complex issue of cybersafety, digital footprints and citizenship is already an urgent, vexing educational challenge for schools. If you wish to know more about ‘data-mining’ check this post out to look at ‘how the internet sees you’. What courses, learning and policies are in place at your school to assist students and staff manage their digital footprints? What can you share here? Thanks to our colleague, Emma Le Marquand, for writing this ‘guest post’ at the blog about her new role. At the start of last term I took up an appointment in western region as a DP. This was significant for me for three reasons: 1) I have spent my entire teaching career in Western Sydney, 2) a move to the position of DP instead of just pretending and 3) it’s a National Partnerships job. The conditions of the third point will be my main focus as I share with you my experiences of finding my feet in the last 11 weeks – experiences I’m sure many of you remember! Firstly, my position has a shelf life of 3 years. Secondly, I am only responsible for the welfare (discipline!) of year 7. I do not have to manage properties, daily organisation, presentation nights etc. I’m sure you are starting to see the pay off for the temporary nature of the job! I think National Partnerships funding and its aim to see ‘School operational arrangements that encourage innovation and flexibility’ is incredibly interesting and of crucial importance to schools thinking about how their world is going to look in five years time. But I’m not going to deal with that now. Instead, I’m going to ask you to imagine that you had 3 years when you walked into a school. 3 years to try and take a lovely, but very established and not-at-all mobile staff and make them excited about teaching in new ways. 3 years to establish effective transition programs and shared programming and teaching practices with partner primary schools (who are up to 50km away). 3 years to get teachers comfortable with working in teams and thinking ‘quality teaching’. And then, you walk away and hope it is sustainable. What would you do? More importantly, what wouldn’t you do? I’ve spent enough time in tough schools, in a range of positions, to know that for most DPs their days get mangled and devoured by the pestering cries of a thousand minor emergencies; leaking water pipes, out-of-control classes, recalcitrant and belligerent students and parents, teachers on the edge and brain-numbing meetings. Despite my more limited range of responsibilities, schools being schools, my daily existence is still threatened to be subsumed with these things. So, here’s my point. I only have three years. It is my duty to limit the amount of time I can spend on these matters. Naturally, I find this incredibly liberating, but also a real challenge. In terms of finding my feet, this has actually being the most difficult thing for me to manage. I needed to take the time to understand the school and set my priorities, but this meant that I wasn’t visibly committed to anything, so I had to avoid being dragged in to other people’s agendas. Mostly, I’ve managed by having very clear and obvious commitments, such as scheduling time in other people’s classes, visits to primary schools, a lengthy curriculum review. All of this has given me the chance to write out my three year plan (which is now 2 ½ years) that has clear priorities and strategies. Don’t let myself burn out. I’m fairly sure for Deputies everywhere ‘Twas ever thus and ever thus shall be’. I am certain you will enjoy Stu Hasic‘s insightful guest post at our blog. The year was 1993 and I had only recently joined the NSW Department of School Education as Manager of the Regional Information Technology Unit in Metropolitan East Region. OASIS was a major responsibility for our unit with our small team directly assisting school assistants and teacher librarians to come to grips with computer-based school administration software. Now while these lovely (mostly) ladies were our main “clients”, the other group of individuals we commonly worked with were the Deputy Principals. In the front office and in the library, staff had to use OASIS and computers for their day-to-day work. But as the DPs quickly highlighted to me, they wished they could use computers for their day-to-day work. Sadly, for them, OASIS was lacking. There were key student administration functions totally missing from OASIS – Timetabling, Markbook, Discipline, Welfare and Parent Communication tracking, Attendance, Assessment and Reporting. As professional organisers in their schools, DPs wanted solutions to these problems. Just about every high school I walked into, the deputy would bail me up to complain about these missing “essential components” for schools. Then out of total frustration that OASIS v2 was released in 1994 without useable versions of the very things they’d been crying out for, DPs decided to take matters in their own hands. The mid-90s was a period of major growth for the 3rd-party software developer. Due to direct and loud demands from deputy principals in schools across the state, multiple add-on solutions for OASIS started to appear. Timechart, SM-Marks, RISC, Denbigh, SAMS, SWAT, Motorised Markbook. Some DPs even developed their own custom solutions for their schools because they couldn’t find exactly what they wanted elsewhere. They probably didn’t know it at the time, but DPs were showing clear leadership in promoting office automation across their schools. While OASIS was out-of-bounds for almost all teaching staff in the school, these add-on applications became essential tools for all staff. While it was the computer coordinator who was responsible for getting computers into staffrooms, it was the DP who was responsible for getting teachers to use them – at least for student administration purposes. Fast-forward a few years and DPs continued to push the boundaries as they adopted absence and lateness SMS and email alerts for parents, further reinforcing their place as pioneers and key ICT-stakeholders in every high school. But as the first decade of the 21st century fades into history, a new set of challenges face our schools. Student administration systems in schools have been a little like the Wild, Wild West – but the new decade will bring an air of standardisation as education authorities across the country try to wrestle back control. While the plethora of 3rd-party add-ons have been effective in individual high schools, the growing need for statewide reporting and transparency of data means that it is now time to develop and supply a single, all-encompassing, integrated student administration system for all of our schools. Student Administration and Learning Management, or SALM, is hoped to be that system. SALM is a major part of NSW DET’s Learning Management Business Reforms project which was recently bestowed $243M in the State Budget. If SALM is going to replace all of those different applications that DPs and schools continue to use to this day, then SALM will need to be at least as good as them because no DP will want their school to go backwards. That is why the DP’s involvement in the user requirements stage for SALM is going to be critical. – What tools are you currently using that work really well? – What tools do 21st Century DPs need to better manage their students? – What data is required, who should be able to access it and how? – What gaps still exist? Are there problems that still need digital solutions? If DPs don’t contribute in this important early stage, it’s likely that SALM version 1.0 will not be everything that schools will need it to be. Trust me. We don’t want to relive the birth of OASIS with SALM. Your experience and knowledge of effective office and school automation are key inputs for this brave new world system. Get involved and lead the development of the solution you would like to see and use. Fortunately, the SALM project team is being led by former DP and Principal, Garry Raftery and current DP, Tony James. To find out more about what’s happening with SALM, visit this DET Intranet website (not available externally). 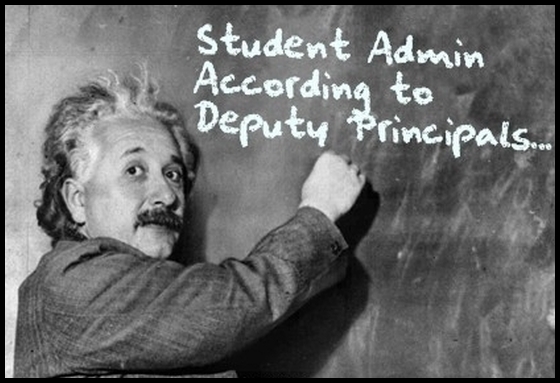 What student admin tools do you find indispensible at your school? Feel free to share them in the comments below.